The Montvale Hotel, The Holley Mason Building, Spokane & Inland Empire Railroad Car Barns, The Arctic Building. These are a few of our projects that have joined the ranks of thousands of National Register properties across the United States that have been revitalized due to tax benefits under the federal historic tax credit program. This introductory handout on the Federal Rehabilitation Tax Credit Program is a modified update version of a 2-part article by Stephen Day previously published online by the American Bar Association. 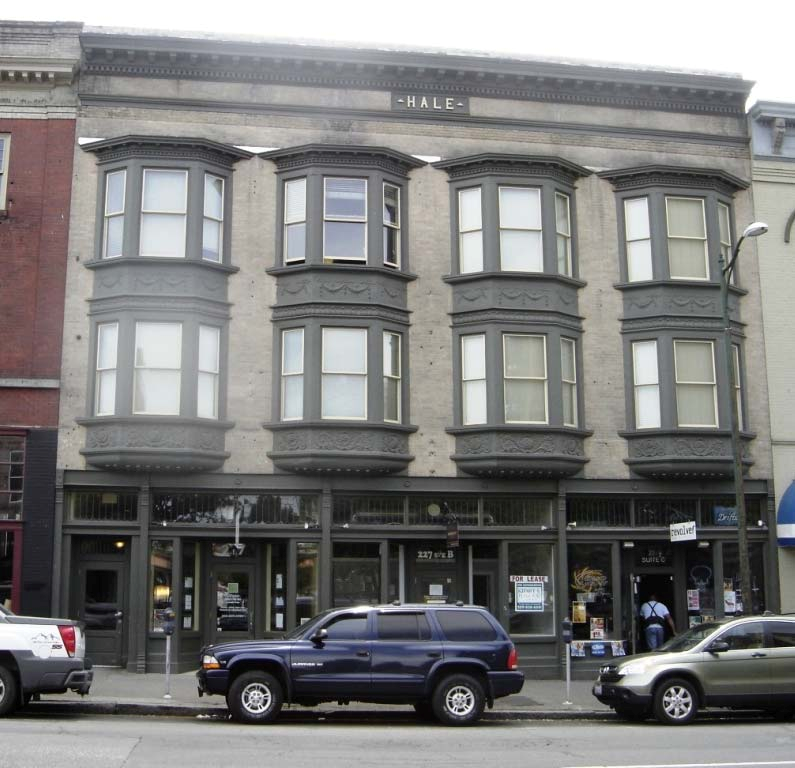 This summary focuses on the federal program that allows developers and owners to attract cash investments for their historic properties redevelopment projects. Part 1 explains the background and basic parameters of the program and describes recent changes in the law. Part 2 describes more detailed aspects of the RTC program and application to typical development projects, including an overview of the 2013-14 IRS “safe harbor” revenue procedure guidelines. In addition to the article, Part 3 of this handout includes a summary of issues related to use of the tax credits by individuals. Part 4 is a basic checklist of questions to answer when considering a project for the historic tax credit program. Looking out my office window, in a historic building in Downtown Seattle, the view is dominated by significant heritage buildings that have been revitalized with help from the federal historic tax credit program. 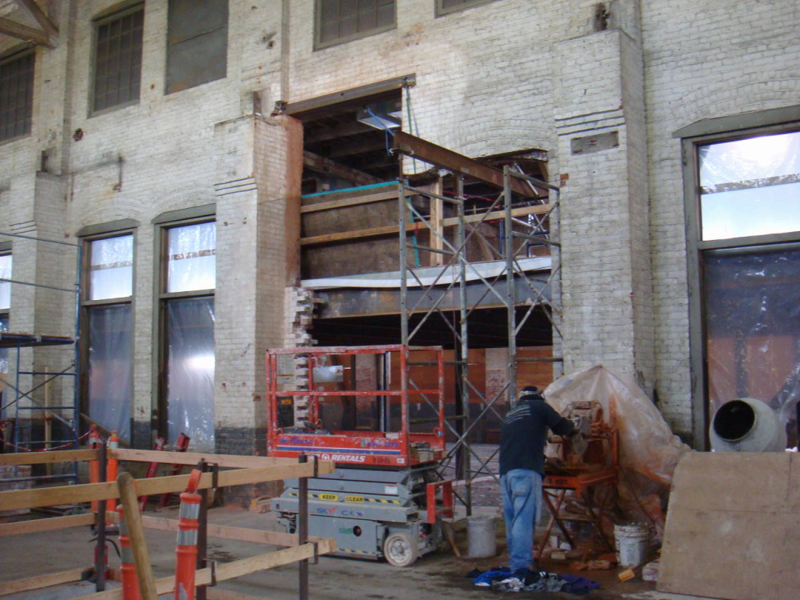 Since the 1970’s, the federal Rehabilitation Tax Credits (“RTC”) program has spurred the redevelopment of more than 40,000 historic buildings in the United States. Over $100 billion in qualified development costs have been associated with these projects, providing approximately $20 billion in tax credits for investors. With the “Housing Recovery Act of 2008” (P.L. 110-289, the “Act”) the program’s scope has been widened – with changes that have largely flown under the radar in the development world. And in late 2013 and early 2014, the IRS issued new “safe harbor” rules intended to provide additional guidance for historic tax credit investments. With the right project in the right set of circumstances, the RTC-related cash investments can make the difference between a project that is economically viable and one that will not work. As the economy recovers, the RTC program is adding a significant boost to projects that include the redevelopment of historic structures. This article summarizes the basics of the Rehabilitation Tax Credits program, gives an overview of which redevelopment projects are eligible, and how developers can take advantage of the program, outlines recurring legal and tax challenges involved in using the credits and provides a summary of recent changes in the law and IRS clarifications regarding the credits. With the wave of “urban renewal” projects and other large scale developments of the 1960’s and 1970’s, cities and towns across the country saw the demolition of thousands of historically significant buildings (and entire neighborhoods). This contributed to a growing historic preservation movement, which led to a series of legislative initiatives. Beginning with the Tax Reform Act of 1976 (P.L. 94-455) and especially with the Tax Reform Act of 1986 (P.L. 99-514), a system of tax credits was established to encourage the adaptive re-use of structures through tax incentives. Since then, the “Federal Historic Preservation Tax Incentives” program has quietly played a major role in real estate development involving historic landmark properties. The IRS Code, at Sections 38 and 47, includes provisions for the “rehabilitation tax credit” which can be utilized in connection with “qualified rehabilitation expenses” for renovations of “certified historic structures” and other buildings constructed before 1936. The Holley Mason Building, Spokane. 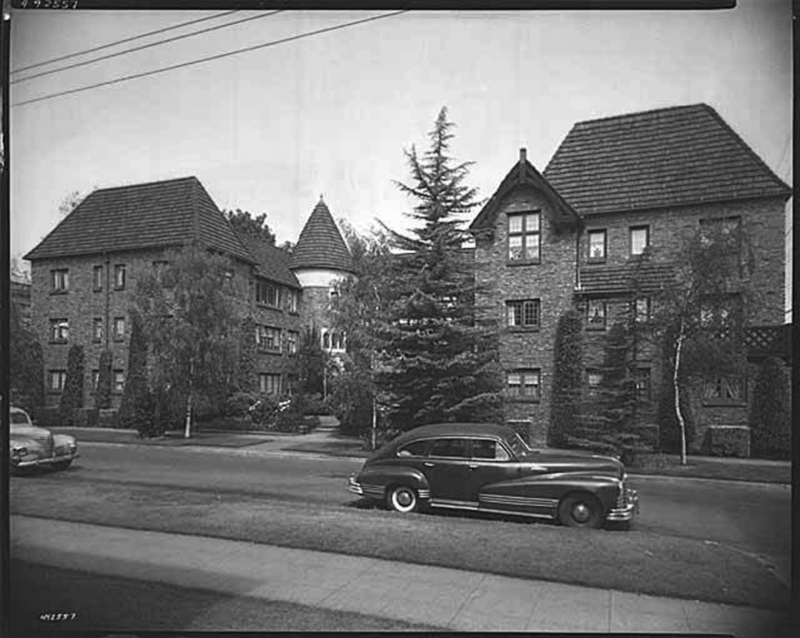 The Arctic Club Hotel, an iconic Seattle historic landmark redevelopment project. This development included over $29 million in qualified expenses, generating the potential for approximately $5.8 million in historic rehabilitation credits. 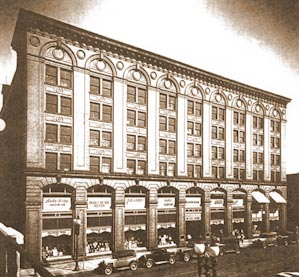 The Holley Mason Building, in Downtown Spokane, a historically significant industrial building converted to office use, including approximately $6 million in qualified expenses, with $1.2 million in credits. 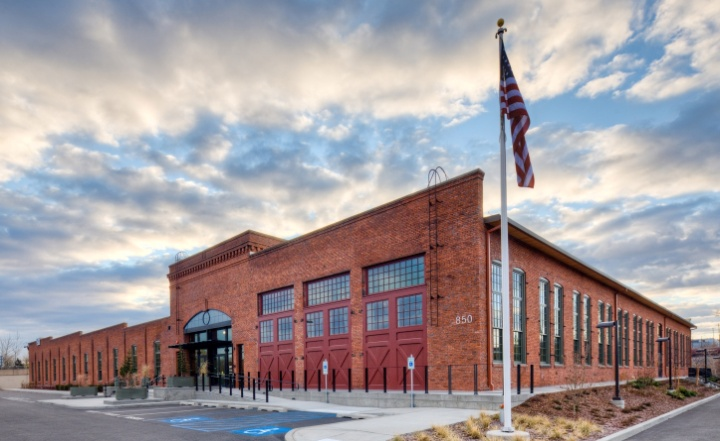 The General Automotive Building, in Portland’s Pearl District, a “Non-Historic” building rehabilitation using the lesser-known (and little-utilized) 10 % tax credit, involving $7 million in qualified expenses, generating $700,000 in tax credits. The “Five & Dime” – an adaptive re-use of a National Register-listed Woolworth’s store in the historic Mississippi delta town of Clarksdale. This building was converted to commercial and residential uses, with approximately $1.3 million in qualified expenses and a total of more than $260,000 in federal tax credits, in addition to Mississippi state historic credits. This is an example of a smaller tax credit project – part of a growing segment in the investor market. In spite of thousands of success stories like these across the U.S., the RTC program has still not reached its full potential. Part of this is explained by the fact that the tax credits rules and process can be complicated. The documentation can be extensive and the program is not well-suited to every project or development scenario. But a major reason for lack of use is that few understand the program – and many are unaware that it exists at all. Although this program has its complexities and challenges, this particular tax credit is relatively straightforward, especially compared to the intricacies of such programs as the New Markets Tax Credit Program. And the RTC program presents one of the few significant tax credit advantages that remain available to real estate developers after the 1986 code changes eliminated most tax credits for real estate investors. Beginning with the 2008 Housing Recovery Act, the pool of potential tax credit investors has broadened somewhat. And in response to the “Historic Boardwalk” case, the IRS issued in late 2013 and early 2014 a series of long-awaited “safe harbor” guidelines regarding prototypical RTC transactions, as outlined below. What is the Rehabilitation Tax Credits Program? This program, administered jointly by the U.S. Department of the Interior (through the National Park Service) and by the Department of the Treasury (through the IRS), makes tax credits available to developers that rehabilitate qualified buildings. There are actually two federal credit programs: one for historic structures and a lesser credit available for “non-historic” structures that were built prior to 1936. The Internal Revenue Code (IRC) § 47(c)(3)(A) stipulates that in order to qualify for the “historic” credit, qualifying buildings must be “certified historic structures” defined as: (a) buildings listed on the National Register of Historic Places; or (b) buildings that contribute to a National Register Historic District or another qualifying local historic district. Treas. Reg. § 1.48-12(d). For the historic properties, a tax credit equal to 20 percent of the “qualified expenditures” in the renovation of certified historic structures may be allocated to the developer entity. So if an owner spends $5 million on qualified expenditures for a rehabilitation of a certified historic structure, there could be $1 million in tax credits available to directly offset income taxes owed by that entity or one or more of its members/partners. There is a lower credit (10%) available for the rehabilitation of non-historic structures built before 1936. Typical Tax Credit Investors. The Rehabilitation Tax Credits are used by owners (or long term lessees) of certified historic structures (for the 20% credit) and “non-historic” structures built before 1936 (for the 10% credit). Rehabilitation Tax Credit utilization by individuals is limited, due in large measure to the passive activity loss provisions introduced in the Tax Reform Act of 1986. See IRC § 469 regarding passive activity provisions and phaseout of credits. Historically, the typical structure has involved bringing a corporate tax credit investor entity into the development group as a member of the owner entity – or as a member of long-term lessee – and allocate the tax credits to that investor, in exchange for cash investment in the project. The tax credit investors contribute anywhere from 60 cents to 95 cents on the dollar of each credit, in exchange for allocation of the tax credits. The investment “price” depends upon such variables as the size of the project, the local market, project parameters, etc. This arrangement can be extremely positive for the developer: the tax credit investor comes into the project early and contributes cash at a crucial point in the project. In exchange, the credits (which are typically not as useful for the developer) are allocated to the investor entity. Affiliates of lending institutions are common users of the credits, although (as an example) one of the most active investors involved with investing in Rehabilitation Tax Credits development projects has historically been Chevron. Spokane & Inland Empire Railroad Car Barns, Spokane. Recent Tax Law Changes and New Possibilities. Alternative Minimum Tax Revisions. The pool of potential tax credit users has been broadened somewhat by the recent (2008) changes in the Code, based on provisions in the Housing Recovery Act (the “Act”), although more could be done in this regard. For example, the Act expands the use of the rehabilitation credit by providing a new exemption from the “alternative minimum tax” for tax credit investors. In the past, the application of the alternative minimum tax provisions had practically eliminated the benefits of the credit for individuals. For qualified rehabilitation credits properly taken into account for periods after December 31, 2007, the IRS treats the minimum tax as zero with respect to the rehabilitation tax credit. This allows an individual taxpayer to use the rehabilitation tax credit to offset regular tax liability – broadening the pool of potential tax credit investors and effectively expanding the number of historic properties that can utilize the RTC to include smaller projects that in previous years might have been considered too small in scope to be attractive candidates. Leasing to Nonprofit Entities. The Act also expands the pool of investors and qualifying projects by relaxing the restrictions on leasing rehabilitated buildings to nonprofit and tax-exempt entities. Previously, taxpayers could not take full advantage of the RTC program where more than 35% of the building was leased to tax exempt entities in “disqualified leases”. With new changes as a result of the Act, investors can qualify for the full amount of the credit provided that less than 50% of the building is leased to tax exempt entities under disqualified leases. 2013-2014 IRS “Safe Harbor” Guidelines. Part II of this article gives a brief overview of several key elements of the 2013-2014 historic tax credit “safe harbor” guidelines issued by the IRS. These advisory guidelines do not constitute code changes per se, but describe certain scenarios where, if the transaction structure follows the patterns set forth in the safe harbor advisory, the IRS will not challenge such structure. What is a “Certified Rehabilitation” of a Historic Structure? As a prerequisite to utilizing the 20% historic tax credits, the proposed rehabilitation work must be certified by the Secretary of the Interior as being in conformance with the Secretary of the Interior’s Standards for Rehabilitation. See IRS § 47 (c)(2)(B) & (C); Treas. Reg. § 1.48-12(d). This certification and review process is administered through the National Park Service (NPS), in conjunction with the State Historic Preservation Officer (SHPO) in each State. Application for certification of a rehabilitation is made to the NPS through the SHPO. The SHPO reviews the applications for certification and forwards its comments and recommendations to the NPS for final approvals. In general, in order to be certified, the rehabilitation must be consistent with the historic character of the structure and/or the applicable historic district. The defining historic features and character of the structure must be maintained and not destroyed or compromised by the rehabilitation work. I. Introduction This section provides an overview of which redevelopment projects are eligible and outlines some of the challenges in using the credits. Key Requirements Under the RTC Program. “Substantial Rehabilitation.” In order for a project to qualify for the RTC program, the project must be “substantial.” “Substantial rehabilitation” is defined in Treas. Reg. section 1.48-12(b)(2)(i) and includes projects that involve qualified costs in excess of the larger of: (a) the adjusted basis of all owners of the building; or (b) $5,000. The adjusted basis can generally be described as the un-rehabilitated property purchase price, less the costs of the land, less any depreciation taken to date, plus the cost of any improvements made since the latest purchase. These costs must be expended within any 24-month period ending with or within the tax year that the tax credits are claimed. “Qualified Expenditures” are defined in Treas. Reg. § 1.48-12 (c) and IRC § 47 (c) (2) (B) and can include a wide range of hard and soft costs associated with the building work. The total dollar value of the qualified expenditures is critical, because the total amount of tax credits is calculated as 20% of this value for historic structures (or 10% for non-historic structures). Qualified expenditures can include costs of construction, along with certain developer fees, consultant fees (including legal, architectural and engineering fees), if added to the basis of the property. Costs that are not included in the qualified expenditures include property acquisition costs, new additions to the historic structure or other new buildings, parking and landscaping costs. Building Uses. To qualify for the RTCs, the building must be depreciable, so it must be income producing or used in a business. Rental housing, commercial and industrial uses all qualify. Owners of condominium housing units can utilize the tax credits provided that the unit is held for income or is used in a business or trade. An owner’s personal residence will not generate RTC. See IRC § 47 (c) (2) (A). Building Users. There are also limitations on the types of users for the restored historic property. For example, tax exempt entities cannot lease more than 50% of the rentable area in a rehabilitated building unless the lease terms are limited in length and there are no purchase options at the end of the term. There are also restrictions on sale and leaseback arrangements with tax exempt entities. The tax exempt user rules are complex and must be analyzed carefully on a project by project basis. IRC § 47 (c) (2) (B) (v); Treas. Reg. § 1.48-12(c) (7); IRC § 168 (h). Claiming the Credit. The RTCs are generally claimed in the taxable year that the rehabilitated building is “placed in service,” which essentially means the date that the rehabilitation work has been completed such that, for example, a certificate of occupancy has been issued. For projects that have never been removed from service, this would be the date that the project work is completed. Any excess credit not claimed in the initial tax credit claim can be carried forward for up to 20 years and carried back 1 year. IRC § 47 (b); Treas. Reg. § 1.48-12(f)(2); Treas. Reg. § 1.48-12(c) (3) and (6). Transferring or Allocating the Credits. RTCs cannot be “sold” without selling the corresponding interest in the real estate. Only owners of the real property (or long term lessees; see below) can be allocated tax credits. But in practice RTCs are often allocated differently to one or more members of the ownership entity (such as an LLC), so long as the percentage allocation of the tax credits matches the members’ interests in profits and losses for tax purposes. How Long Must the Tax Credit User Own the Property? An owner that claims the RTCs must retain ownership of the property for at least five years after the date the project was placed in service, or the tax credits will be subject to recapture. Recapture of the Credits. RTCs can be recaptured if the owner claiming the credit (or passing the credit through to a long term lessee) sells the building before the end of the minimum five year holding period, or if the property ceases to be income-producing. Recapture can also occur if the project ceases to comply with other transfer or leasing restrictions imposed under the program or if the project is physically altered such that it no longer complies with the approved rehabilitation improvements. These recapture rules are laid out in IRC section 50(a). See also Treas. Reg. § 1.48-12(f)(3). The amount of the credit recapture is based on how much of the minimum five year holding period has elapsed at the time of noncompliance. The Tax Credit Investor. A recurring challenge in using the tax credits is in identifying the partner entity that can utilize the credits and joining that entity with the developer in a partnership arrangement (usually an LLC). But this can also present opportunities. For example, lenders have substantial tax liabilities that can be reduced by using the tax credits. An affiliated entity of a lender can act as a member in a development LLC and can be allocated the tax credits. An affiliate of that same lender can provide loans for the development project, perhaps on more favorable terms than another lender that does not have the tax credit incentive to lend on the project. This investor is typically primarily interested in taking advantage of the tax credits and in getting out of the project as soon as possible, with as little risk as possible while still complying with the tax credit rules. Choice of Development Entity Type. The pass-through tax capability of limited liability companies make the LLC the typical entity of choice for RTC developers, allowing the tax credit advantages to flow to members. The single entity structure is more commonly used for smaller projects, where the “developer” entity and the tax credit investor entity are members of a single LLC. In larger, more complex projects, a master tenant lease structure is commonly used, where the owner/developer will pass through the tax benefits to a master tenant entity that leases the entire building from the owner/developer through a qualifying long term lease. Allocation of the Tax Credits. In general, the percentage allocation of the tax credits should match the profits interests of the parties. If one party is allocated 99 percent of all of the tax credits, then that investor must be allocated 99 percent of the profits interests. To accommodate this, and to compensate the developer partner for its participation and origination of the project, the company will typically pay development or management fees or other distributions to the developer entity. Payments to members do not necessarily match the profit/loss allocation percentages. At the end of the five-year tax credit recapture period, profit/loss ratios are typically revised to allocate greater profits interest to the developer. See discussion below regarding the 2013-2014 IRS “safe harbor” provisions on this point. Leasing to Tax Exempt Entities. As mentioned above, leasing space in a certified historic structure to tax exempt entities is possible so long as the lease does not fall into the category of “disqualified leases” as defined in the IRC § 168(h)(1). There are several factors in that code section that must be analyzed for each individual situation, including requirements that the lease term be less than 20 years, the lease cannot occur after a sale of the property from the lessee to lessor, the lease cannot include an option to purchase or a fixed or determinable purchase price for the property, along with limits on financing involving tax exempt financing. These limits are generally not applicable if in the aggregate less than 50% of the rentable floor area in the historic building is leased to tax exempt entities. Leasing to Taxable Entities. Taxable lessees may be eligible to claim RTCs provided that the lease term is at least as long as the recovery period under IRC § 168(c), currently 39 years for non-residential property and 27.5 years for rental residential real property. See also IRC § 47 (c)(2)(B). If the lease term is less than this minimum recovery period, the full tax credit is not available but is instead reduced prorata based on a formula tied to the length of the lease as compared with the recovery period and based on the fair market value of the rehabilitated lease property. See Treas. Reg. § 1,48-4(c)(3). 2013-2014 IRS “Safe Harbor” Guidelines. In response to the Third Circuit’s “Historic Boardwalk Hall” case (see Historic Boardwalk Hall, LLC, No. 11-1832 (3d Cir. 8/27/12), cert. denied, Sup. Ct. Dkt. No. 12-901 (U.S. 5/28/13), the IRS issued a series of “safe harbor” guidelines in late 2013/early 2014 in an attempt to clarify certain aspects of historic tax credit partnerships. In the “Boardwalk” case, the appellate court had found that the tax credit investor in that project (Pitney Bowes) did not have sufficient downside risk or upside potential in the project to constitute a partnership within the meaning of the tax code. In May 2013, the U.S. Supreme Court denied the LLC’s petition for certiorari, and the Third Circuit’s decision still stands. ∙ “Principals” (non-tax credit investors in the partnership) must have at least a 1% interest in profits, losses, deductions and credits during at least the five-year minimum recapture period, effectively imposing a cap of 99% interest for the tax credit investor(s). ∙ Put-Call (Buy-Sell) rights were a key element in historic tax credit deals, for decades, providing exit mechanisms for the tax credit investor to leave the project after the minimum five year recapture period. These put-call rights are now much more limited. A partnership agreement is allowed to provide that the tax credit investor may force the other partner(s) to buy out the tax credit investor interests after five years, but the Principals cannot force such a sale. However, the IRS guidelines do say that the partnership agreement can provide that, after the five years recapture period, the tax credit investor’s interests can flip down to as low as five percent of its largest-held interest. This will significantly diminish the value and power of those interests – and in most cases set up an exit for the tax credit investor. ∙ Guarantees. The tax credit investor cannot require absolute guarantees regarding the investor’s rights to claim the credits. However, guarantees requiring the developer or partnership to perform acts typically required in order to qualify for the credits (or insure that performance) are allowable. ∙ Fees and bonuses paid to the developer must be reasonable, in comparison with similar real estate development fees. ∙ Investors cannot come into a project partnership with the clear intent to simply abandon their interests after they have claimed the credits and the five year recapture period has run. ∙ Before the rehabilitation project is completed and the building is placed in service: (a) the tax credit investor must have invested at least 20 percent of its total anticipated contributions; and (b) at least 75 percent of the investor’s total contribution amount must be fixed and irreversible and not contingent on the level of tax credits actually generated by the project. III. Are the Historic Tax Credits Right for Your Project? Not all historic property redevelopment projects are natural candidates for tax credit utilization. If for whatever reason the developer cannot or will not endure the designation and certification process, or the project does not fit the tax credit criteria, or if the developer cannot structure the deal to bring in the tax credits investor, then the project will not work as a tax credit venture. But for those projects that involve qualifying structures (and the number of such structures is greater than one might think, and expanding every year), where the development strategy can be flexible, where the rehabilitation is substantial and where the tax credits investor can be identified that fits with the specific development strategy for the project, the rehabilitation tax credits can produce significant cash investments to developers. This tax credit can make the difference between a project that will pencil and one that won’t. IV. A Note of Caution. The RTC rules are complicated and involve many interrelated parts. This brief summary is intended only as a very general introduction to the subject and should not be taken as tax advice. Project developers and investors must seek ongoing advice and counsel from experienced legal and tax advisors for any specific project. The National Park Service web site at www.nps.gov includes numerous links to sites that include information on the various stages of the National Register process and the RTC program. The IRS web site at www.irs.gov also has links to sites that focus specifically on tax aspects of the RTC program. from the Federal Historic Tax Credit Program. Use of the federal rehabilitation tax credits is generally limited to corporate entities. However, individuals may utilize the credits assuming they have the income tax liabilities and assuming they pass certain tests, such as the “at-risk” rules and impacts of passive activity rules, especially regarding rental activity income. The ability for individuals to use the rehabilitation tax credits was expanded through 2008 federal legislative changes affecting the alternative minimum tax rules and related use of the rehabilitation credits. There is also a special exception for “real estate professionals” (as defined by the IRS-see below) that allows these individual tax payers to utilize the tax credits. If an individual fits the IRS’s definition of a real estate professional, he or she may qualify for the real estate professional exemption and utilize the related tax credits. Real estate professionals are not typically limited in the amount of passive losses they can take in a given year. Rental real estate activities are not deemed to be passive activities if you are a “real estate professional” and you meet certain requirements, further described below. If you have determined you have rehabilitation tax credits related to your project, and you have calculated the credits based on the qualified rehabilitation expenses, you then need to investigate whether the credits can be used by yourself as an individual or only by qualifying corporations or other entities. The process for determining this is the same for the 10 percent and the 20 percent federal rehabilitation credit. Tax credits are earned by the property owner as of the date that the building is placed-in-service (usually evidenced by a certificate of occupancy) – essentially the date the building is ready for its intended use. Assume a building is owned by one individual. On the placed-in-service date, that owner is entitled to 100 percent of the tax credits. If a building is owned by a partnership or a limited liability company (LLC) with more than one owner, IRS regulations state that federal Historic Tax Credits are allocated to the owners of the partnership or LLC in accordance with their share of profits and losses (set out in the partnership agreement or LLC operating agreement). For example, if the partnership agreement or LLC operating agreement states that all profits are to be split evenly between two owners, each owner would be entitled only to 50 percent of any tax credit earned by the LLC. Once you have established that the credit is earned and the percentage to which each person is entitled, you can begin to explore the degree to which an individual tax payer could use the credits. This calculation is based on three complicated “tests” put forth by the IRS. The first test involves determining if at -risk rules limit the amount of credits that can be redeemed. In general, the amount of credits a taxpayer can claim is limited to the amount the taxpayer has at-risk in the rehabilitation project. Rentals are generally passive, whether or not the taxpayer materially participates. However, rental real estate interests of Real Estate Professionals are subject to the material participation tests. For this purpose, each interest you have in a rental real estate activity is a separate activity, unless you choose to treat all interests in rental real estate activities as one activity. (See the Instructions for Schedule E (Form 1040), Supplemental Income and Loss, for information about making this choice). Qualifications. You qualified as a real estate professional for the year if you met both of the following requirements. More than half of the personal services you performed in all trades or businesses during the tax year were performed in real property trades or businesses in which you materially participated. You performed more than 750 hours of services during the tax year in real property trades or businesses in which you materially participated. (Do not count personal services you performed as an employee in real property trades or businesses unless you were a 5% owner of your employer. You were a 5% owner if you owned (or are considered to have owned) more than 5% of your employer’s outstanding stock, outstanding voting stock, or capital or profits interest). If you file a joint return, do not count your spouse’s personal services to determine whether you met the preceding requirements. However, you can count your spouse’s participation in an activity in determining if you materially participated. So if an individual fits the IRS’s definition of a real estate professional, he or she may qualify for the real estate professional exemption. Qualifying real estate professionals are not limited per se in the amount of passive losses they can take in a given year. The “trade or business” test/condition. If the property is used in the property owners’ trade or business, taxes owed on active income may be offset by the tax credit. Deduction equivalent exception to the passive activity rules. This enables property owners with adjusted gross income (modified for this purpose) below $200,000 to offset taxes owed on a limited amount of active income. In 2008, Congress eliminated the final test, which was to calculate the credit amount that may be redeemed under the IRS alternative minimum tax (AMT) rules. Business tax credits generally may not exceed the excess of the taxpayer’s income tax liability over the tentative minimum tax (or, if greater, 25 percent of the regular tax liability in excess of $25,000) Thus, business tax credits cannot offset the alternative minimum tax liability. Carry-forward/back rules and historic tax credits. If any of the above rules limit your ability to redeem credits in the year earned, the IRS allows credits to be carried forward for twenty years and/or back one year for redemption in previous or subsequent years. Redemption of tax credits in years other than the year in which the credits were earned is subject to the same rules and regulations outlined above. Please Note: the information contained in this summary is an overview of key points and is not exhaustive in nature. It is general information and is based upon information available from the IRS and other related sources. It is therefore subject to change and IRS interpretation and subject to modification based on individual circumstances. Any tax applications to specific individuals must be confirmed by that individual’s accountants and tax professionals working specifically with such persons in the context of their particular tax status at the relevant point in time. Is the building on the National Register or a contributing building in a National Register listed historic district? If not, does the building have the potential to be listed on the National Register? Is the new plan compatible with re-use of significant historic elements? Does the new plan require alterations (or users) that could jeopardize approvals? Does the project schedule allow time for SHPO/NPS review and approvals? Will tax credit investors be invested in the project by the time the rehabilitated building is placed in service? Experienced professionals on the team? Is the lender involved early on in the project? – lenders are also potential tax credit investors. Stephen Day is owner of Stephen Day Architecture PLLC, based in Seattle. Stephen is a member of the American Institute of Architects and of the Washington State Bar Association. He is past chair of the AIA Seattle Historic Resources Committee, past chair of the King County Landmarks Commission Design Review Committee and past King County Landmarks Commissioner. He has collaborated with a variety of clients and colleagues in architecture and development projects over the past twenty-five years, focusing on the revitalization of landmark historic properties, especially those utilizing historic tax credits. He is Board member of the Northwest Institute for Architecture and Urban Studies in Italy, a Seattle-based nonprofit with a research and fellowship facility north of Rome. For more information and a sample of the tax credit projects he has been associated with, please go to www.stephendayarchitecture.com. Stephen can also be reached at (206) 625-1511. Please Note: The RTC rules are complicated and involve many interrelated parts – and are subject to change. This brief summary is intended only as a very general introduction to the subject and should not be taken as tax advice. Project developers and investors must seek ongoing advice and counsel from experienced legal and tax advisors for any specific project.